Purim at the White House! 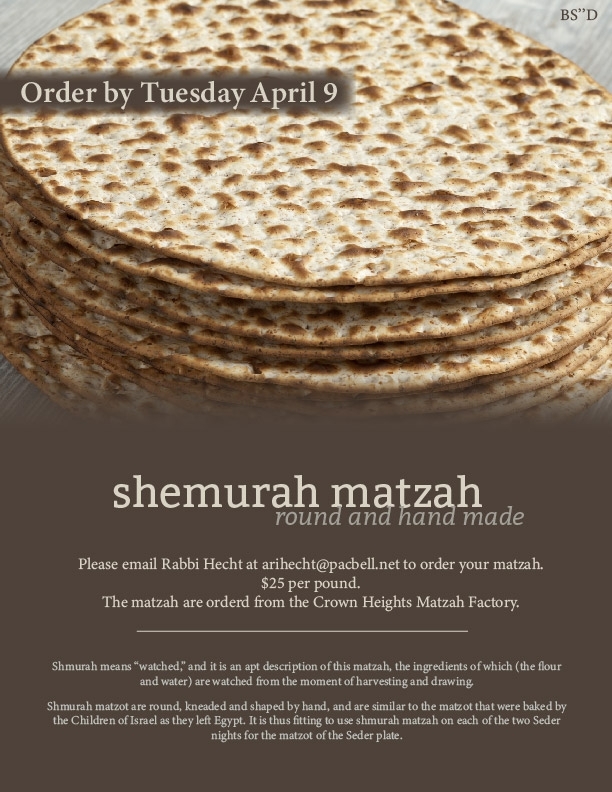 Shemurah Matzah is hand-baked, unlike ordinary matzah, which is machine processed. Shemurah Matzah is more labor-intensive and is produced under a higher degree of scrutiny than regular matzah. On Pesach, even the average Jew becomes somewhat religiously scrupulous. We do everything in our power to make sure there is no leavened bread (a.k.a. Chametz) in our homes for the week of Pesach. We’re even stricter when we’re making matzah. 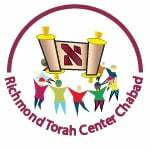 The Torah tells us: “You shall guard the Matzot.” This means that we need to “guard” the Matzah dough to make sure that it doesn’t rise and become chametz. 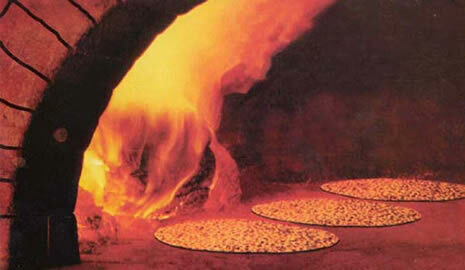 The wheat for Matzah is supervised from the time when it is taken to the mill to be ground into flour. Throughout the grinding, baking and packing, extra special care is taken that the flour and dough don’t come in contact with any moisture. Supervisors ensure that the dough is processed quickly enough that it does not rise in the process. Only Mayim Shelanu - water that was drawn from a spring or well after nightfall and sat in a cool place over night is used for the Matzot. The appliances are also cleaned between Matzah batches, to make sure that there are no crumbs or pieces of dough left from the previous batch. Many people make a point of eating Shemurah Matzot at the Seder, even if they eat regular matzot during the rest of Pesach. - order before April 11, 2019 to ensure that your order by fulfilled. Matzah is $25 a lb.